Andy: Hi Troy, I read your post, and it is very well argued. 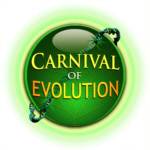 Andy: At the moment, I am a biology student at a local university, and one of my personal headaches is the promotion of either creation-ism or evolution-ism. To be honest with you and with all due respect, I really don’t care for either explanation. Andy, with all due respect, you should know that for someone like me who has been in the “trenches” debating people pushing pseudoscience for years, the fact that you would refer to evolutionary theory as “evolutionism” is a large red flag that would strongly lead me to suspect that your understanding of evolutionary theory and science itself is likely wanting. Unfortunately, your next sentence does little to disabuse me of my suspicion. Creationism is set of theological beliefs regarding a creation story written down in the 6th or 5th century B.C.E., accepted on faith and in the face of contravening facts by a tiny minority of people with any scientific background. Its mechanisms (God did it) are untestable and to the extent that it makes claims testable against the empirical world it has been falsified a thousand times over. On the other hand evolutionary theory is a scientific explanation for a vast number of facts that is testable against further observations of the empirical world and used by the vast majority of the relevant scientific community as a guide to further research…whether you “care” for it or not. That you would casually place them on the same level is yet another huge red flag. Andy: As a student, the only thing that I am concerned about is true scientific facts that have been tested at a laboratory to the molecular level. We are only three sentences in and we have three red flags. In my experience people who use terms such as “true scientific facts” (as opposed to what, “false scientific facts”?) tend to not to be particularly familiar with either the facts or what counts as scientific. However, that is a nit compared to the philosophical problems with your above statement. Why on Earth would you limit yourself to what is testable in a laboratory at a molecular level? Better yet, why should anyone else take your narrow limits as to what to be concerned with seriously? Using your bizarre limitations, we would be throwing out vast swaths of empirical data, and not just in biology. Molecules are great but they are not a perfect path to knowledge nor are they the only path. Furthermore, the point of science is not simply collecting random facts, rather it is about explaining the facts that we observe [insert Darwin quote about collecting pebbles here]. In this case, we have detailed anatomical, physiological and genetic similarities between the pharyngeal structures of terrestrial vertebrate (hereafter “amniotes“) embryos and non-amniote vertebrates (amphibians and “fish”), set against a particular paleontological backdrop that needs a coherent explanation. You do not like creationism, great. That should be a given and I am with you. However if you do not like evolutionary theory, then what is your better explanation for the gill-like appearance of the pharyngeal structures of amniote embryos (and everything else evolution explains)? You cannot just sit back and say, “I don’t buy any of it” and expect to be taken seriously, especially in face of the apparent success of evolutionary theory. Andy: My teacher presented this same example about the gill slits during a microbial genetics lecture. Andy: I was just exhausted of listening, so, I raised my hand and said that the information was outdated and more up-to-date data has been collected explaining that they are no longer gill slits, and they are pharyngeal pouches. Huh, did you read my article to which you are supposedly responding? You are literally arguing semantics here. Regardless of what we call these structures in the embryos of amniotes, they exist, they resemble—in detail—the developing gills of non-terrestrial vertebrates, and we want to understand why this would be so. Andy: He asked what was my source, and my reply was, with all due respect, professor, but your source is 150 years old and newer information was out that did not concentrate on a belief based teaching. He stopped and said he will do some more research and get back to us. He continued with the lecture as it was intended. I am sorry but “your source is 150 years old”, even if true, is not an argument; old ≠ incorrect. FA = -FB (for every action there is an equal and opposite reaction) gets robotic probes to Mars despite the fact that Newton came up with the formula over three hundred years ago. Furthermore, what is this “belief based teaching” to which you refer? Once again, if you read my article you would know that referring to these structures as “gill-slits” is not dependant on a belief in either creation or evolution as is evidenced by the fact that pre-Darwin creationists called them this. Oh, and what is your source Andy? Andy: I agree; they look like gills until you dissect it, and then they look like pouches. I know in biology we name a lot of things base on morphological characteristics, and that is a great easy way to remember things. 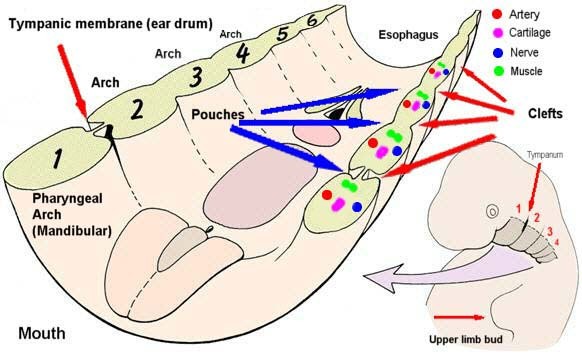 There are clefts (or grooves) on the outside of the pharynx (red arrows) with corresponding pouches on the inside (blue arrows). These clefts and pouches are each separated by membranes that, in mammals, normally remain unperforated with the first (tympanic) membrane forming the so-called eardrum. Some of the post tympanic membranes do normally perforate and then reclose in some birds and reptiles embryos. They also temporarily perforate in the gill-bearing larvae of some amphibians and, of course, in fish they stay perforated and become gills. Since I know some people are queasy about diagrams here are a few photographs of coronal sections done on various mammal embryos. First, an electron microscope picture of what I think is a stage 13 human embryo (Etchevers, 2008)(blue arrow points to the pharyngeal pouch and red to the corresponding cleft). For comparison, here are some stained sections from a mouse (left, Zhang et al. 2005) and a pig (right, Shone & Graham 2014) at a similar point of development; once again blue arrows for pouches and red for clefts. Also, note in these photos that the aortic arches—the blood vessels—are visible within the pharyngeal arches (green arrows). These are not just “pouches”! There are arteries (the blood vessels shown above), muscles, nerves and cartilaginous structures found on either side of the cleft/pouch pairs in the embryonic gills of “fish” and the corresponding pharyngeal arches of amniote embryos. How do you get from this to, “they look like gills until you dissect it, and then they look like pouches” without ignoring all of these observable facts? These things exist and you need to explain them Andy. Andy: The only thing that really gets to me is that either creationist or evolutionist keeps trying to push the subject in school. The reason a competent science teacher (i.e. one who teaches evolutionary theory) would bring them up is because they are structures that have interested biologists since they were first discovered and whose existence is elegantly explained by descent from a common ancestor (evolution). Andy: Honestly, I paid for one of my books close to $300. I feel that my book should be filled with up-to-date information that has been tested, and that is going to help me in the future and not filled with propaganda of any kind. 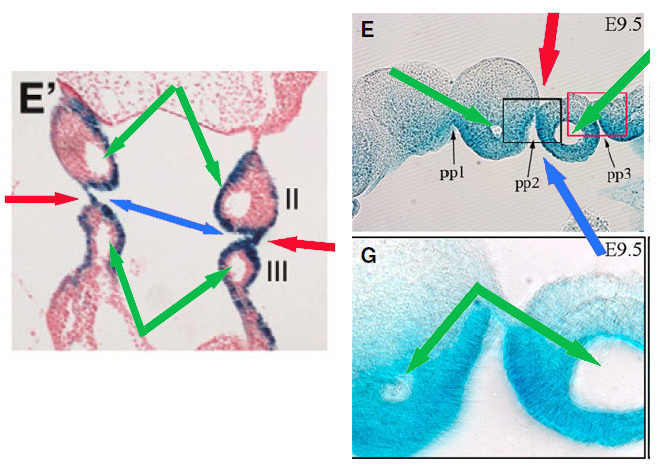 The pharyngeal structures of amniote embryos are not propaganda. They exist and are observable by anyone with eyes to see. For example, please note that the photographs of the pharyngeal sections of mouse and pig embryos I reproduced above were both taken from papers published within the twenty-first century. Any modern textbook on vertebrate developmental biology is likely to have similar photos or diagrams of these structures. Andy: I guess it is easier to print the old stuff than to update the books to what they are intended to do, and that is to provide useful information that can help us treat diseases and give our patients a fighting chance. Sorry Andy regardless of whether it comes from an older source or a current one, pharyngeal clefts, or “gill slits” exist in amniote embryos whether or not you want to accept the facts or the current best explanation for them, so please spare us the overwrought “won’t someone think of the ill people? !” shtick. Andy: To this day, I haven’t seen a mermaid or an angel either in nature or in a lab, so, I will have to dismiss both claims as pending research and proper laboratory testing. Yeah so at this point, I am starting to have doubts that you are for real Andy and not just a troll looking for attention. What the hell does a mermaid have to do with anything Andy? Please tell me you are not seriously suggesting that evolutionary theory somehow supports the existence of mermaids [Hint: the exact opposite is the case]. Because if you think it does, you may want to rethink your career path—perhaps something in the arts? Andy: Please don’t take this the wrong way. I am a paying student who is discordant with the never-ending stories. As I said, after the mermaid comment I am no longer sure how to take you Andy. Perhaps your response or lack thereof will clarify that question. Regardless I want to thank you Andy. Formulating my response to you has made me consider adding a few things to my “gill-slit” article that I think could use some expansion or clarification. 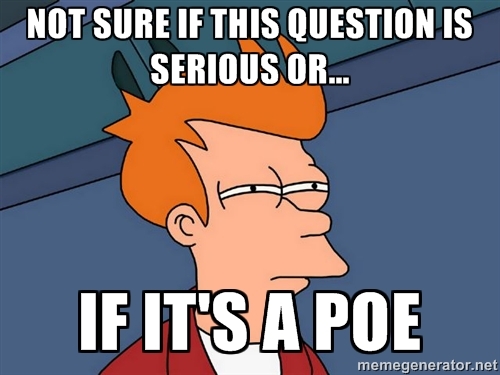 So anyway, Poe, troll or sincere, something positive has come from your comment, thanks. This entry was posted in Comparative anatomy, Creationism, Defending evolution, Developmental biology, Education, Embryology, Evolution and tagged comments, developmental biology, embryology, embryos, Ernst Haeckel, evolutionary theory, fraudulent embryo pictures, gill slits, pharyngeal clefts, textbooks. Bookmark the permalink. What? No, not better; except maybe in a bit or two that I will probably work into the original, but thanks nonetheless. Translation: He knew Andy had no good arguments but didn’t want to waste any more of the class’s time arguing with him. When “Andy” ‘s imposture as a student was detected, he failed his “Novice Disruptor” exam for LiarsForJesus.org. This failure to disrupt the class put “Andy” in fear of his unclean soul (as preached to by whichever child-abuser beat religion into him), and he has come here to try to gain more brownie points by creating dissension here. Now, now, this isn’t Pharyngula Aidan, please dial back on the “LiarsForJesus” & “child-abuser” type comments. I want Andy to respond without feeling he’s just going to get scorn heaped upon him. Thanks. Why always the scare quotes around “fish”? Just because it isn’t a clade? 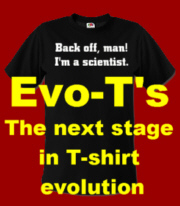 I think there’s nothing wrong with having a label for what is widely recognized as an evolutionary stage. “Fish” just refers to basal vertebrates, like “reptile” refers to basal amniotes and “monkey” to basal simians. I think most people can agree about the specific criteria of these labels. The point of highlighting clades (branches) is to get across a more accurate view—to those who may not be familiar with systematics—of how the different animal groups relate to each other via descent. The reason I put quote marks around the popular term “fish” is because not everyone understands—especially those mislead by creationist misinformation—that we (tetrapods->amniotes->synapsids->mammals->primates) evolved from a particular, less well known, group of “fish” (sarcopterygians) and not from the more common, dominate, types of “fish” (teleosts). Do you know what are the currently ongoing studies about the topic?